Well, that looks awesome, don't you think? It does seem to be be Tom Cavanagh in the suit, and hopefully this reveal is an indication that we'll get to see Reverse-Flash minus the blur in upcoming episodes. Sound off with your thoughts on the suit in the comments section below. I love how they are actually talking about the Speed Force now. Some major hints were dropped about what's to come in The Flash during the show's PaleyFest panel today, including the fact that "Harrison Wells is just a guy who wants to get home," according to star Tom Cavanagh. That might just confirm fan theories that he's been trapped in the past since killing Barry Allen's mother, but we still don't know exactly WHO he is. Regardless, time travel is set to be introduced in the next two episodes, but that doesn't mean that the hero will end up deciding to save his mother says executive producer Andrew Kreisberg. "We’re definitely talking about the ramifications of time travel. There are episodes coming up where there is concern of certain events being changed in the past [that] would affect who people are and their relationships with each other. If the past changes, does the present change as well?" One particularly shocking moment in a sizzle reel shown for The Flash appaently featured Detective Eddie Thawne shooting two of his fellow cops at point blank range in the back. Will his sinister personality finally be revealed? "Eddie has an amazing arc over the season and you’re going to be so surprised," is all Rick Cosnett would say. We'll also learn how the metahumans in the S.T.A.R. Labs pipeline are being tended to, while it was mentioned that neither Caitlin nor Cisco will be getting superpowers any time soon. Executive producer Greg Berlanti meanwhile teased that they're hoping to introduce "elements of the Wally West story in season 2". What do you think? As many have suspected, it seems there's a twist concerning Harrison Wells and the Reverse-Flash. There's a TON of theories on the internet but none are correct according to Barry Allen actor Grant Gustin. Spoiler alert! The following contains massive spoilers from Tuesday night’s episode of The Flash. Um, what the flash just happened? But even though everything that happened in the episode was all kind of erased when Barry traveled back in time, there were still plenty of revelations. Here’s what we learned. The Dr. Wells facade finally came tumbling down as Iris’s co-worker re-awakened suspicion about the scientist in Barry and Cisco. But it was everyone’s favorite nick-name giving scientist who figured out that the “fight” between Wells and the Reverse Flash was staged, confirming that Wells was the man in the yellow suit himself. Cisco might have been able to do something about it too, if Caitlin — who he tasked with keeping Wells out of Star Labs — wasn’t the worst liar of all time. Oh and he had to reveal to Iris that he is the superhero she’s been crushing on (seriously so much freaking happened in this episode). But it was all for naught because Barry ran so fast trying to stop the tidal wave that he ended up running back in time. Which means that none of this happened. He and Iris never kissed and she doesn’t know he’s the Flash. It’s also worth noting that Barry’s super-super speed took him back in time, considering what we know about the night that Nora Allen died. Wells revealed to Cisco that he wasn’t trying to kill her, but was trying to kill Barry, and we assume he means the adult Barry who had traveled back in time to that night. As we get closer to the end of the season, hopefully we’ll learn more about what happened, and maybe even see if it can be changed. Next week, on The Flash, Barry and Cisco have their hands full when the Rogues return with new member Lisa Snart! 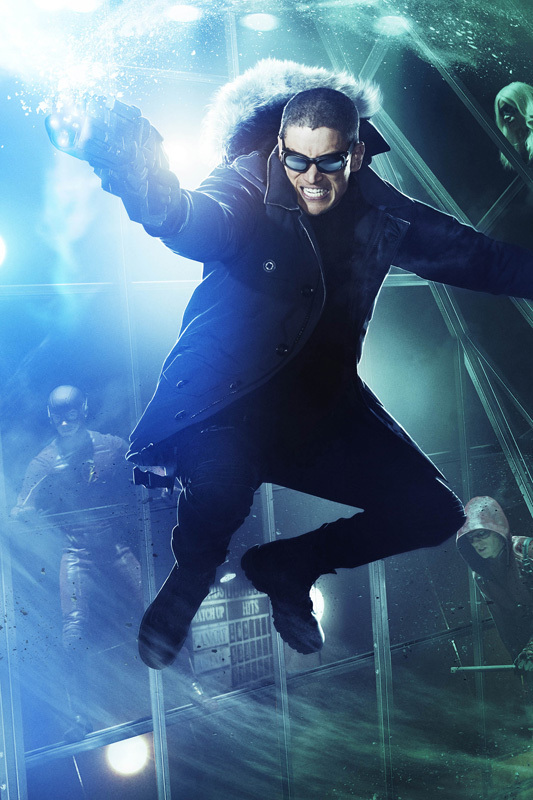 To announce their return, the CW has released new key art featuring Wentworth Miller's Captain Cold & Dominic Purcell's Heat Wave. Come check it out! 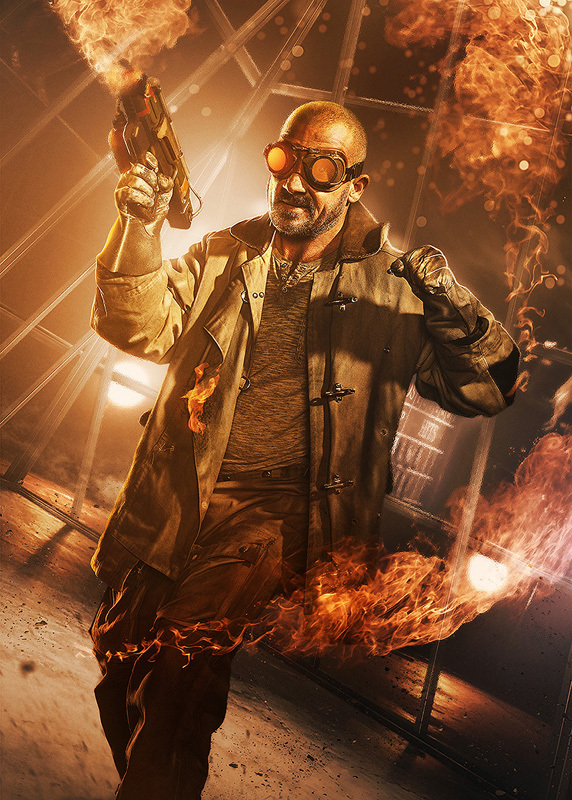 CAPTAIN COLD AND HEAT WAVE RETURN TO CENTRAL CITY; PEYTON LIST GUEST STARS AS LISA SNART - The Flash (Grant Gustin) learns that Captain Cold (guest star Wentworth Miller) and Heat Wave (guest star Dominic Purcell) have returned to Central City. This time Snart has brought along his baby sister Lisa (guest star Peyton List) to help wreak havoc on the city. John Behring directed the episode with story by Grainne Godfree and teleplay by Brooke Eikmeier & Kai Yu Wu (#116). I'm glad they decided to go with the Reverse-Flash character that makes the most sense in this cinematic timeline and story. The writers have done a good job with the Harrison Wells character because Thrawne didn't always hate the flash. In his home timeline of the 25th Century he idolized him. ARROW’S FELICITY SMOAK (EMILY BETT RICKARDS) AND RAY PALMER (BRANDON ROUTH) ARRIVE IN CENTRAL CITY; EMILY KINNEY (“The Walking Dead”) GUETS STARS AS BRIE LARVIN — Barry (Grant Gustin) is surprised when Felicity Smoak (guest star Emily Bett Rickards) arrives from Starling City along with her boyfriend, Ray Palmer (guest star Brandon Routh), who flies in as the Atom. They’ve come to visit S.T.A.R. Labs as Ray needs help with his suit. Their timing turns out to be fortuitous because it’s all hands on deck after a meta human named Brie Larvin (guest star Emily Kinney) unleashes hundreds of robotic bees to attack and kill her former co-workers, including Dr. Tina McGee (guest star Amanda Pays). A group dinner with Barry, Felicity, Ray, Iris (Candice Patton) and Eddie (Rick Cosnett) turns into a disaster. Kevin Tancharoen directed the episode written by Grainne Godfree & Kai Yu Wu. This sounds like it's going to be a busy episode of The Flash, and it's interesting that there's no mention of Dr. Harrison Wells and the Reverse-Flash. 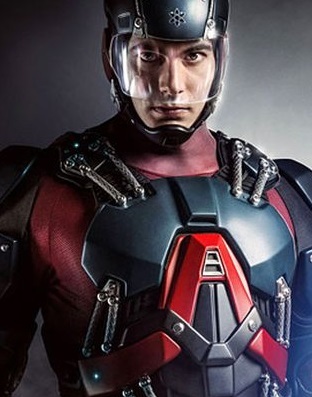 Regardless, it should be a lot of fun to see Barry fighting alongside The Atom, don't you think? Share your thoughts and theories below. So, let's go over everything that the photos below reveal about what is presumably the season finale of The Flash. The Reverse-Flash can be seen unmasked before Barry Allen, confirmation that he will soon find out the truth about the Man in the Yellow Suit. We also see the return of Firestorm, but more significant than that is Oliver Queen's new costume (them being here together also explains those photos shared by Robbie Amell a while back). Clearly The Arrow is going to eventually give in to Ra's al Ghul and accepts his offer as he can be seen here wearing what is clearly an outfit inspired by the League of Assassins. Why does The Flash need their help to take down the Reverse-Flash? We'll just have to wait and see! Thanks to Grant Gustin News for these. "As they fight towards what they really want — or think they want — [Flash and Reverse-Flash] are going to have to take advantage of that Speed Force.... [and] if you’re familiar with the mythology, what Barry needs and what Barry thinks he wants aren’t always the same thing." In a new interview with Entertainment Weekly, it certainly seems as if Professor Wells/Reverse-Flash actor Tom Cavanagh has dropped another hint that The CW's Flash is headed for Flashpoint. On the use of the Speed Force, Cavanagh stated, "If you know the Speed Force, it’s fair to say that Barry’s abilities come from a positive culling of the Speed Force. Reverse Flash’s abilities come from what Barry would call a negative culling of the Speed Force. Truthfully, the Speed Force is important to both of them accomplishing their goals and the Speed Force doesn’t separate. As they fight towards what they really want — or think they want — they are going to have to take advantage of that Speed Force. I say, ‘think they want,’ because if you’re familiar with the mythology, what Barry needs and what Barry thinks he wants aren’t always the same thing.” Of course, the most famous instance of Barry using th Speed Force to get something that he wants but doesn't necesarrily need occurs in the DC Comics 2011 miniseries, Flashpoint from Geoff Johns. The story is centered around Barry's use of the Speed Force to travel back in time and save his mother from Reverse-Flash. In succeeding, the entire timeline is changed, with Barry never gaining his super speed, the Justice League never forming and the world becoming desolate as a reult of a war between Aquaman and Wonder Woman. THE FLASH: New Details On 'Reverse-Flash'; 'Cisco' To Give 'Black Canary' Her "Canary Cry"
The Flash executive producer Andrew Kreisberg was joined by Danielle Panabaker, Candice Patton, and Carlos Valdes at WonderCon today to talk about what's to come in the show, and plenty of new details were revealed about season one's final few episodes. To begin with, the arrival of characters from Arrow showing up in Central City was addressed, and Kreisberg confirmed that it will be Cisco who helps Laurel with a new version of the Canary Cry which will work in a similar way to the comic books. Black Canary isn't going to become a metahuman just yet then, but will have that famous sonic scream! Someone who might undergo some sort of transformation though is Caitlin Snow, with Panabaker teasing that we're going to see Killer Frost "sooner than you think." Wait, what?! Hopefully she won't become a villain too soon anyway. Kreisberg went on to confirm that both the real Harrison Wells and Eobard Thawne (played by Matt Letscher) will return before the season ends: "You'll be seeing more of the original Harrison Wells, you'll be seeing more of Matt Letscher as Eobard Thawne, and more of Tom as Eobard Thawne." He also dropped some hints about season two villain plans. "I think we definitely want to meet the Mirror Master next year," he teased. "I'm sure Dr. Alchemy will show up at some point. And we've got one thing that hopefully people will lose their minds over." What do you guys think about these latest The Flash details? Eobard Thawne: ‘The Flash’s Best Twist, or Its Worst? By this point fans of The Flash have gotten used to being surprised, stunned, or downright staggered on a weekly basis. But in recent weeks, the stakes have been raised significantly. 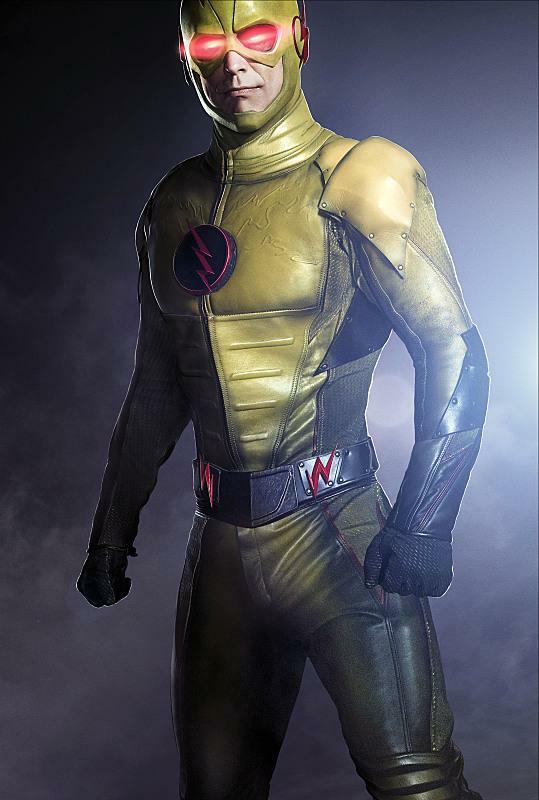 After Dr. Harrison Wells (Tom Cavanagh) was revealed to be ‘The Man in Yellow’ – better known as the ‘Reverse-Flash’ – sooner than many fans expected, the show’s writers thrilled die-hard fans when Wells confirmed his true identity to be that of Eobard Thawne; a time traveling speedster from the future, just as he was in the comics. While staying true to the traditional Thawne/Barry Allen rivalry, the show’s writers have been eager to make some changes as well (the introduction of Detective Joe West and Eddie Thawne, for starters). Yet every time fans assumed they had a handle on Thawne’s motivations or the comic mythology being adapted, another curveball was thrown, with promises that the final twist in store was one that few would ever see coming. The startling revelation promised seemed to arrived in Episode 17, “Tricksters” sending comic fans jumping for joy. But did the twist really deliver on the fan theories and speculation – or simply cash in the show’s chips early? Judging the real impact of the twist means first laying out exactly what new insight into the death of Nora Allen was given. Once adult Barry successfully defended his younger self from Thawne and escorted him to safety, Thawne similarly fled, presumably after killing Nora as a consolation prize. Almost immediately afterward, Thawne’s powers – based on his connection to “the Speed Force” – failed, according to his A.I. Gideon, thereby stranding him in time. 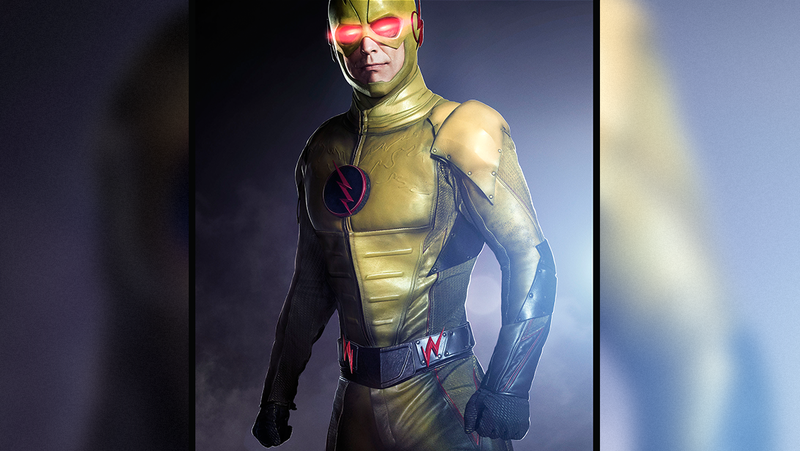 Enraged, Thawne removed his yellow mask to reveal… a man who was clearly not Harrison Wells. Following hot on the heels of Dr. Wells (Cavanagh) admitting he was both Thawne and Nora Allen’s killer, viewers were stunned to see another face (that of actor Matt Letscher), even if the explanation was impossible to guess in the moment. And stranded though he may be, Thawne quickly set out to return to his own time and place. Perhaps even more tragic than another glimpse of Nora Allen’s murder was a look at Harrison Wells fifteen years before the events of the series. When he was first suspected of foul play by Joe West (Jesse L. Martin), Wells – actually Thawne – had described his life fifteen years prior as that of an ambitious scientist happily in love with a woman named Tess Morgan. That was indeed the case, but Thawne’s secret surveillance of Harrison and Tess hinted at a more a sinister explanation for the “car accident” that would soon befall them. The dots were finally connected as Thawne staged the car accident (killing Tess) and came face to face with Wells. Explaining that the young scientist would one day make history with his particle accelerator, Thawne’s need of a faster ride home meant the construction would need to be fast-tracked by someone with a clearer vision of the future – using a futuristic gadget to transform into Wells, killing the actual doctor in the process. With Harrison Wells now out of the picture, Thawne was poised to (presumably) complete the particle accelerator years sooner, thereby turning Barry Allen (Grant Gustin) into The Flash ahead of schedule, unlocking the speed needed to return to his own time. And just like that, the disparate theories and unanswered questions – how could Thawne actually be a famous scientist who gave Barry his powers in the first place? – seemed to be answered. Even in a TV series already famous for its twists and turns, the Thawne reveal was well-received by viewers, judging by the online conversation. 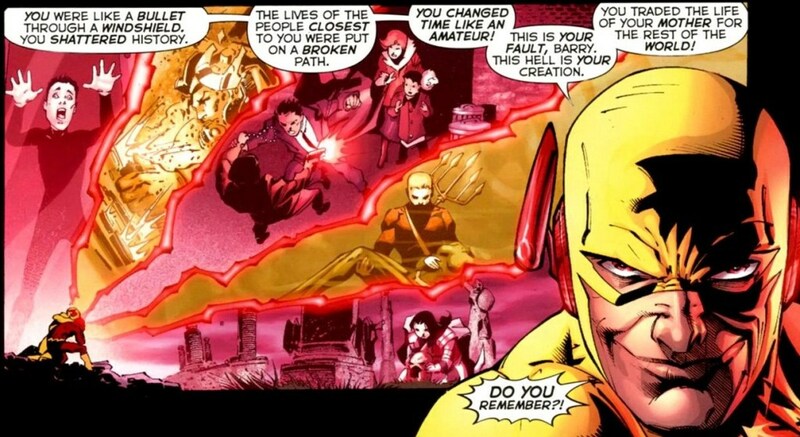 It’s easy to see why DC Comics fans would approve, seeing the strange and seemingly contradictory theories formed into a single chain of events which parallel the classic scheming of Eobard Thawne. For new fans, a ‘big bad’ is revealed, and a memorable transformation means a murderer has truly been hiding in plain sight from the pilot episode. Finally, the moniker of ‘Harrison Wells’ can be tossed aside entirely: the villain at the end of this story is Eobard Thawne, just as it has been for decades of published DC Comics. Portrayed to perfection by actor Matt Letscher (The Carrie Diaries), Thawne is shown to be the single villain, with a straightforward enough plan: at some point in the future, he traveled back in time to kill Barry Allen as a child, before he ever became The Flash (a notion any Terminator fan can grasp). The only wrinkle in his plan? The realization that the Speed Force giveth, and the Speed Force taketh away. For the time being, the real nature of the Speed Force – the mystical energy source that fuels nearly every speedster – doesn’t need to be explored or explained. All viewers need to know is what they have now been shown: Thawne lost his speed (or at least most of it), was stranded for years carrying out Harrison Wells’ accelerated work, unable to regain his own powers until Barry Allen unlocks the Speed Force in the present. Thawne may have let the term slip while coaching Barry to phase through objects, but regardless of how soon the writers intend to tackle the Speed Force mythology, this latest twist has laid even more foundation. Over the years, the nature of the Speed Force has changed a great deal: it’s been a fifth dimension Barry can tap into, an extra-dimensional phenomenon contained within Barry’s body, or an alternate dimension that speedsters can actually reside in. What is clear is that it begins with the lighting bolt which struck Barry – meaning Eobard Thawne owes his own speed to that same event. That means Thawne is free to torment Barry Allen, but unable to kill him (or he would lose his own powers). In The Flash TV series, Thawne lost his speed only after Barry left him stranded in a timeline in which Barry had yet to gain his powers. Thawne’s mysterious “endgame” may still be speculated upon, and why Thawne believes he must first help Barry reach his potential before he can return to his time and place. But the confirmation that it is a far-off version of Barry who travels back to his childhood home (note his modified suit and white chestpiece) clears up more confusion. Fans also know that Thawne’s decision to change the course of history means the future is a mystery even for him (hence the constant check-ins with Gideon). Now that Thawne’s plan has been revealed, the course of the series is undeniably simpler. And, true to their word, the showrunners supplied a twist in keeping with the comic book source material, yet managing to take viewers completely by surprise. As sad as it may be to see a happy, ambitious Harrison Wells killed by a time traveler for what seems like a selfish reason – and as shocking as it may have been to see Eobard Thawne literally take his place, the surprise wears off eventually. When it does, viewers are left with a much more hollow realization: we never really knew Harrison Wells to begin with. He was destined to create S.T.A.R. Labs and a happy marriage, sure. But that was in another time; another version of history that has never been glimpsed. It’s a shock to see Wells on the losing end of a murder for once, but the actual ‘twist’ may be more accurately described as a ‘clarification’: it’s now perfectly clear that for all intents and purposes, there has never been a Harrison Wells since The Flash‘s first episode. Not in any more substantial way than a simple moniker held by Thawne, as he set out to check off the list of events for which Wells was responsible (five hundred years of scientific progress can make anyone seem like a genius in 2015). The fact that no fan guessed the twist in store (or one of many potentially on the way) also comes with a caveat. That is, we can’t blame fans for not guessing that Thawne took Wells’ place by using a magic device to copy his DNA to physically copy him, and leave him buried in a ditch somewhere outside Central City. Mainly because that level of science or futuristic technology was never present in the show’s fiction before the reveal. It was a shocking and unsettling effect, but becomes significantly less powerful when viewers realize they’re watching the death of a character they had never met. The musical swell and ominous cliffhanger may imply something grand or epic, but an acknowledging “Oh” may be more appropriate. For such a complex web of unanswered questions, ending with a whimper seems like a shame, despite the show’s best efforts. We, like the fans, had been wracking our brains trying to navigate the many hints, clouded admissions, and ulterior motives of Harrison Wells and the ‘Man in Yellow’ for months. Unfortunately, the answer turned out to be nowhere near as complicated. The Flash certainly isn’t alone in proving that a mystery is often more interesting than the solution – but since the writers had done such a superb job of keeping viewers on the edge of their seats to this point, revealing there to be just one villain, with one motive, can’t help but be somewhat underwhelming. As Barry teams with Joe and Eddie to unravel the mystery of Harrison Wells, the audience can’t enjoy the chase and breadcrumb-like trail of clues in the same way. They’ve already been shown the crime, the explanation, and the motive behind fifteen years of murders. A new mystery may be on the way, but consider this further proof that having the puzzle solved for you isn’t always as satisfying. What did you think of the Eobard Thawne/Harrison Wells reveal? Now that you’ve had time to take measure of just how much has changed in The Flash universe, do you feel we’re being too hard on the writers, or did seeing the dots connected so clearly take a little bit of the fun out of the viewing experience (for now)? 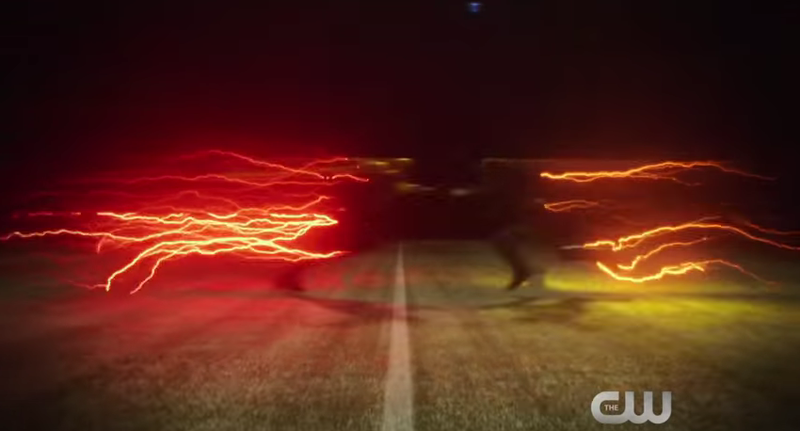 I really didn't know much about the Flash coming into this but this has been a great show so far. Full Gallery Of Stills From Next Week's THE FLASH Finale; "Fast Enough"
With the Reverse-Flash caught, Barry Allen looks towards the past as he contemplates saving his mother in next week's finale. However, you just know that there has to be some major twists and turns on the way! These official stills raise more questions than they answer, but check them out! 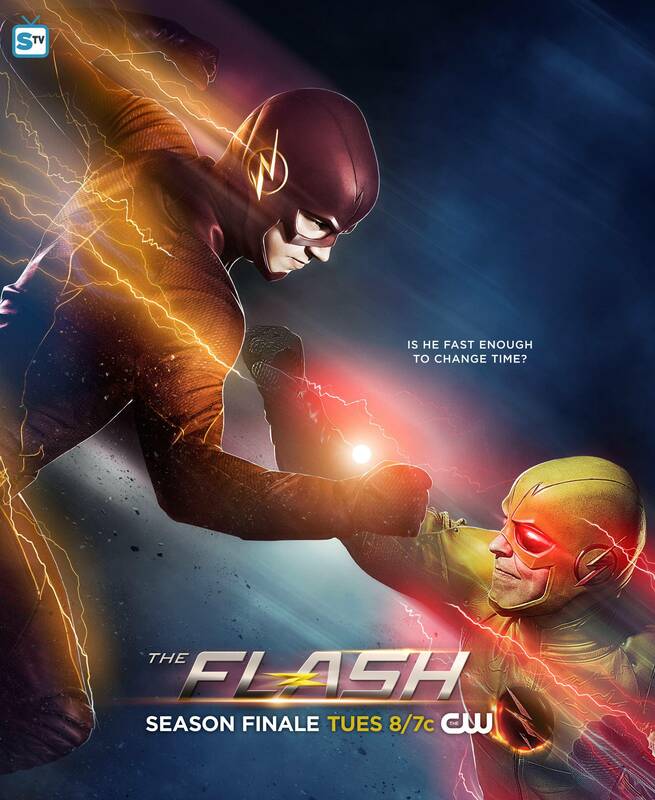 "Fast Enough" (Season Finale) - Wells (Tom Cavanagh) presents Barry (Grant Gustin) with a life-changing choice. Dr. Martin Stein (guest star Victor Garber) and Ronnie Raymond (guest star Robbie Amell) return to help the S.T.A.R. Labs team with this final fight. Dermott Downs directed the episode with story by Greg Berlanti & Andrew Kreisberg and teleplay by Gabrielle Stanton & Andrew Kreisberg. 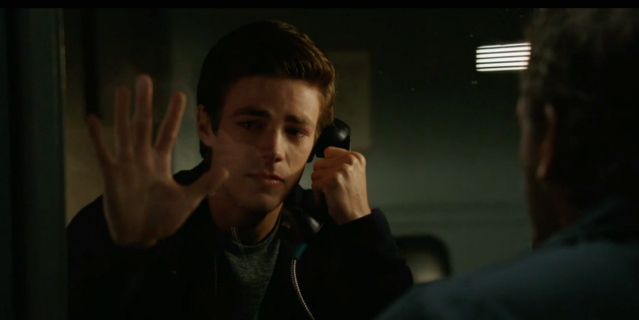 Ahead of tonight’s highly-anticipated Season 1 finale of The Flash, the show’s executive producer and writer Andrew Kreisberg has promised fans it will be an "incredibly emotional" episode - with plenty of answers. Hit the jump to check out what he had to say! "It’s incredibly emotional. When we had the table read for that episode, everybody just started crying... I read the stage directions, and after a while I just stopped because everybody was in tears and quiet. We’ve worked really hard to build up these believable relationships between everybody throughout the course of the season. We did the greatest hits of all the scenes that made us cry over the season and put them all in the finale again." What do you think of Kreisberg’s comments? Are you excited to finally find out the real reason behind Wells Thawne’s evil plan – or will you be too busy bawling your eyes out to care? Leave your thoughts, theories and tears in the comments below! "Yeah. We are going to introduce a few more speedsters next year and a bunch more villains. How they and those villains come about is part of the surprise of season two. We're really excited." If you're like most fans of The CW's Flash, season 2 can't get here soon enough. In the meantime, you'll have to tide yourself over with a few tantatlizing teasers from Flash executive producer Andrew Kresiberg. Speaking to The Hollywood Reporter, Kresiber stated, "Yeah. We are going to introduce a few more speedsters next year and a bunch more villains. How they and those villains come about is part of the surprise of season two. We're really excited. [Executive producer] Greg [Berlanti] and myself and [executive producer] Geoff Johns and the writers, the cast, the crew, the directors — we are so proud of this season of television. It really is a high mark for all of us, and we feel a great deal of pressure and anxiety to live up to it because it's been so well received. As proud as excited as we are about everything we've done this year, we really are just as proud and excited for all the things we are planning coming up. Hopefully people will continue to take this ride with us." As teased in the epic season finale, hopefully one of those Speedsters introduced is original Golden Age Flash, Jay Garrick. Of course, there's also the distinct possibility of Barry Allen-successor Wally West showing up on the show as well. 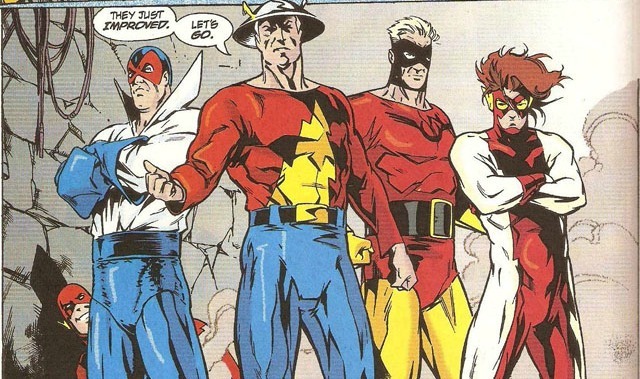 Other speedster candidates include Bart Allen (Impulse), Max Mercury, Jesse Chambers (Liberty Belle), and Johnny Quick. THE FLASH Season One Was An Alternate Timeline, But Will We Ever See The Original? The Flash executive producer Andrew Kresiberg says the first season of The CW's Flash is an alternate timeline. With that in mind, will we ever see the original, pre-Wells manipulated timeline? Flash executive producer Andrew Kreisberg has confirmed that the entire first season of the show is an alternate timeline due to the manipulation of Tom Cavanagh's Harrison Wells. So will we ever see the original timeline or will the show always exist in the alternate one? As Matt Letscher Eobard Thawne stated in latter episodes of the show, Thawne went back in time and hijacked Well's life so that he could create the S.T.A.R. Labs particle accelerator much earlier and create The Flash [and subsequently, many of Flash's Rogue Gallery]. But Eddie's (Rick Cosnett) heroic sacrifice means that Wells never even existed so wouldn't that mean the timeline has been reset? Or does the alternate timeline continue on? Said Kreisber, "Part of the fun of The Flash is when you have people dabbling in sci-fi physics, they’re significantly altering the world. We established in the finale that the entire series of The Flash is, in itself, an alternate timeline that’s been skewed from the real one. Wells setting off the accelerator created all the metahumans, and the results of the singularity will also have long-term effects." Kreisberg confirmed that both Letscher and Cavanagh will be back in future episodes of the show but will Wells be the actual Harrison Wells or will he be the evil, Eobard Thawne version? Time travel raises a ton of questions and certainly doesn't provide any answers but all of the possibilities for Flash season 2 are very intriguing. Will you be looking forward to see what direction the show heads when it returns this Fall? Victor Garber was first introduced as Dr. Martin Stein in The Flash, but his character will also play a key role in DC's Legends of Tomorrow. However, the actor has revealed in an interview with The Hollywood Reporter that he will reteam with Robbie Amell's Ronnie Raymond in the season two premiere of The Flash (which makes sense as they were together in the season one finale). "Robbie and I will be joined on the first episode of the (next) season of The Flash, and then we'll see what happens," Garber revealed. Reading between the lines, could that mean that Barry Allen's trip through time and that wormhole will indeed create a new timeline? Garber promised that answers about Firestorm will come in both Arrow and The Flash, both of which will set the stage for what's to come in Legends of Tomorrow. "They (CW) aren't going to introduce a limited series," the actor said of the show getting a 15 episode run. "This isn't HBO. They want the Full Monty. That's going to be fun of it. We're all these characters put together and we will see how we all function and try to do something together." What do you guys think about these latest details? 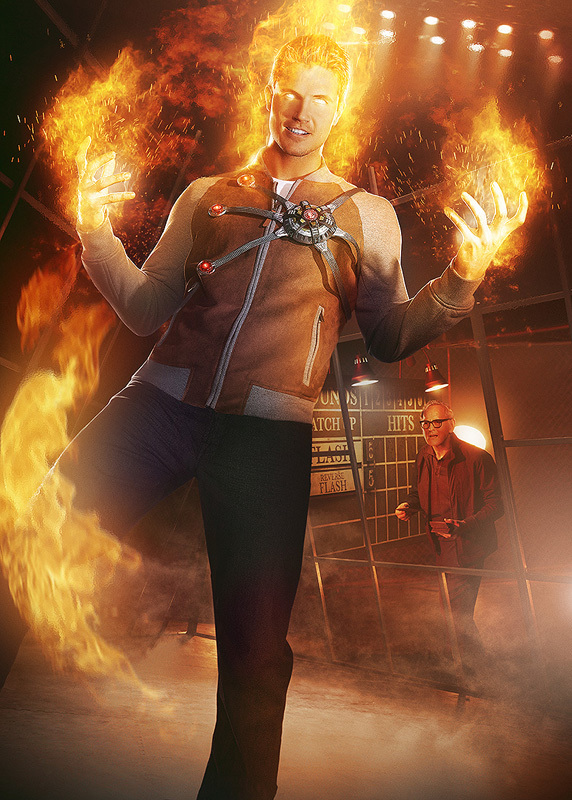 One of the most popular recurring characters on DC TV this year was Robbie Amell's 'Ronnie Raymond' - also known as one half of 'Firestorm' on The Flash. But will he reprise the role for the upcoming spin-off Legends Of Tomorrow? Hit the jump to see what Amell had to say! "All of those [Legends Of Tomorrow] questions will be answered shortly, but I can't actually tell you anything about it. What I can tell you is I'm going back to shoot more episodes of The Flash in July." "I haven't gotten any scripts yet, but it picks up immediately where the finale left off, because it was such a big cliffhanger... The nice thing about the finale was getting to actually play Ronnie. You saw Ronnie in my first episode, and then I was this schizophrenic, frightened man, and then I was trying to figure things out with my other half, and I finally got to kind of play Ronnie in the finale. I was enjoying that character. I'd like to play more with that, and the relationship with Danielle Panabaker's character Caitlin, but I always have so much fun shooting with Victor, so anything else Victor and I can shoot together would be great." Amell's future on The Flash appears pretty secure at least, so fans probably shouldn't expect the worst for his character. 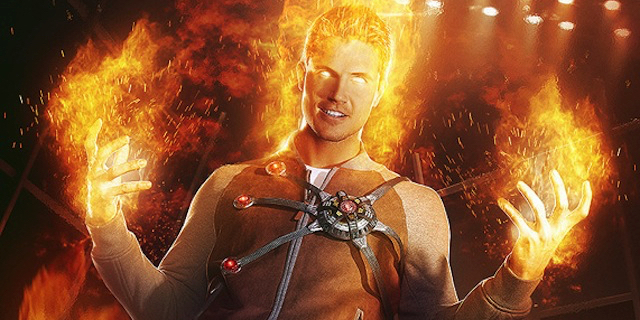 That said, if Ronnie isn't in Legends Of Tomorrow in a regular capacity, could we expect a new host of the Firestorm matrix? Or do you believe Dr. Stein's role in the spin-off will focus more his brains than his powers? Leave your thoughts and theories in the comments below! Who knows what Barry Allen's life will look like when he emerges from the singularity in season two of The Flash, but regardless of any changes to the timeline, we now know that he's going to have a new love interest. It sounds like romance between Barry and Iris won't be happening just yet! TV Line reports that The CW is cuurently looking to cast Wendy, a "spunky, fun and funny" character who is a a cop for Central City PD. She's described as bright and scientific minded, and worryingly, the casting call states that those looking at the role should "Think ‘Felicity Smoak’ from Arrow". One Felicity is arguably more than enough, but here's hoping this one cries less. Anyway, this sounds like a newly created character for The Flash rather than anyone from the comics, but do you guys have any theories? As usual, share your thoughts in the usual place!